The Embraer Phenom 100 engine is the Pratt & Whitney Canada PW617F-E. 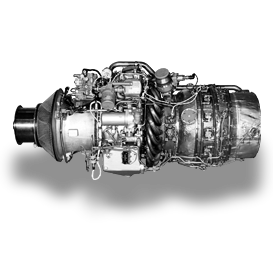 The PW617F-E is the exclusive engine for the Embraer Phenom 100 and the Embraer Phenom series aircraft. The PW617F-E (Embraer Phenom 100 Engine) was developed by Pratt & Whitney Canada under the PW600 series of engines. The PW600 series turbofan engines are made for very light jets, like the Embraer Phenom 100. 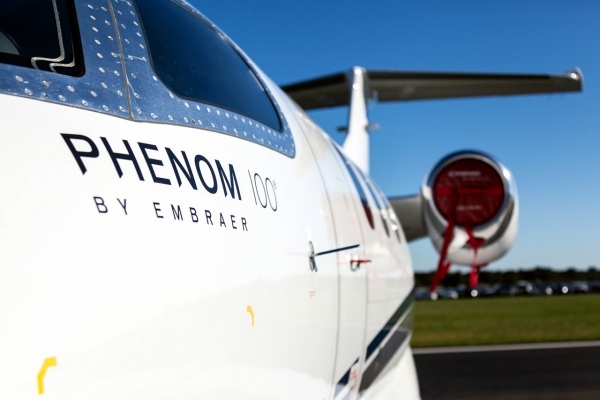 The Embraer Phenom 100 Engine PW617F-E is compact and fuel efficient, providing lower costs for the Phenom 100. 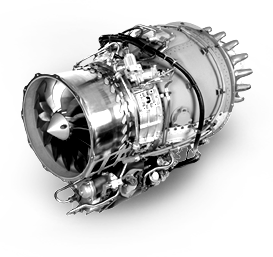 PW600 series engines are built with half the parts of a traditional turbofan engine, making the Embraer Phenom 100 engine easier to maintain. The PW617F-E engine is controlled by a Full-Authority Digital Engine Control (FADEC) giving pilots better control and information on the Phenom 100 engines. Above Photos: Pratt & Whitney Canada PW617F-E Engine & the Pratt & Whitney Canada PW600 Series Engine. Above Embraer Phenom 100 Engine Photo by Craig Cullum on Flickr. Photo (only) released under a Creative Commons License.